Wollaton Hall is an Elizabethan country house of the 1580s standing on a small but prominent hill in Wollaton Park, Nottingham. Wollaton is a classic prodigy house, “the architectural sensation of its age”, though its builder was not a leading courtier and its construction stretched the resources he mainly obtained from coal mining. Though much re-modelled inside, the “startlingly bold” exterior remains largely intact. The Hall also houses Nottingham Natural History Museum. The Hall has formal gardens and a small walled botanic garden. The surrounding parkland has a herd of deer, and is regularly used for large-scale outdoor events such as rock concerts, sporting events and festivals. Guided walks and tours of the house and grounds are available. Nottingham boasts a fine history and cultural heritage. Papplewick Pumping Station was built between 1882 and 1885. 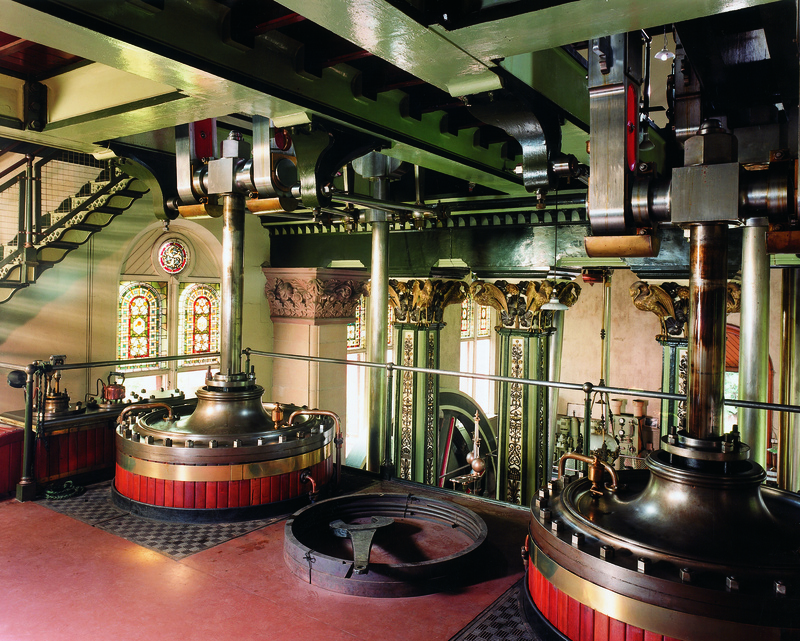 Using two James Watt & Co beam engines it pumped millions of gallons of fresh, clean water every day to the rapidly increasing population of industrial Nottingham. 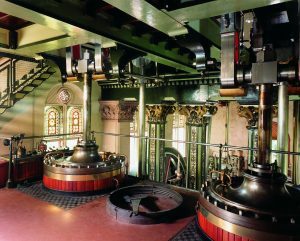 Today, thanks to the endeavours of The Papplewick Pumping Station Trust, a Registered Charity dedicated to the preservation of the Pumping Station, and the enthusiasm of the volunteer members of the Papplewick Association, you can experience the most spectacular, preserved water Pumping Station in the British Isles. The Pumping Station is Now protected as a Scheduled Ancient Monument, the highest preservation order that can be bestowed upon a site in England. The Trust holds regular steaming events throughout the year (including tours of the underground reservoir), wedding ceremonies and educational visits. The income from these activities helps the Trust continue the essential preservation of this important site for future generations. The Pumping Station is open on Sundays for static displays and holds eight steam events during the year including its popular 1940s event in October – see the website for dates and times. This authentically recreated miner’s cottage is the birthplace of world-renowned Nottinghamshire author D.H. Lawrence. Visitors can experience the humble beginnings of the controversial writer who scandalised the literary establishment. Entry is through timed admission which includes a guided tour explaining the fascinating early life of Lawrence. In each room, there is meticulous attention to the style of the period, so that it really does transport the visitor back in time. From the parlour to the attic, everything appears just as it would have been in a Victorian household. A great experience for all, whether you are a Lawrence fan or not. The charming, award-winning museum also includes an exhibition featuring pieces such as his original watercolour paintings and his headstone! 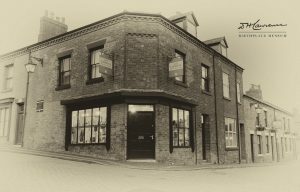 If you have an attraction in the area or a kindred museum in the region, contact the webeditor to discuss a slot on our website.